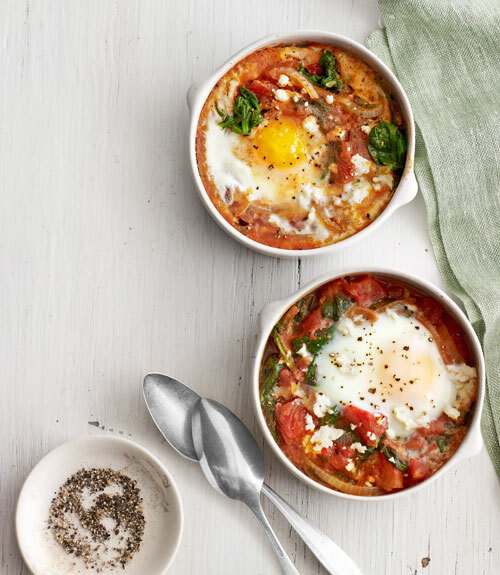 Recipe for the week: Baked Eggs with Spinach(tubua)and Tomato… Yum! Preheat oven to 400 degrees F. Meanwhile, in a medium saucepan, heat oil over medium-high heat. Add onion and cook until soft, about 5 minutes. Add spinach(tubua) and cook until just wilted, about 2 minutes. Remove from heat. In a medium bowl, stir together tomatoes, cumin, salt, pepper, and, if desired, hot sauce. Add onion-spinach mixture and stir to combine. Divide among 4 oiled 10-ounce oven friendly bowls or ramekin. But there you have your recipe for the week something delicious and something I’ll definitely try out. This recipe is something I find healthy and at the same time simple to make esp when your tired from work…takes less than an hour to prep and put in the oven to do the job and your done have with dalo or cassava… #TryIt!! ← 29th June: NATIONAL CAMERA DAY! !